a 1914 newspaper article that noted Vann said he was not to be paid extra for the work he did because it was part of his job. Note: Transcripts of the article and letter are available. 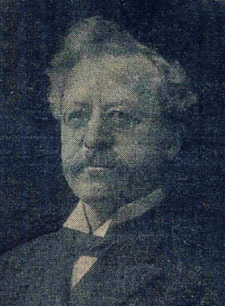 William "Plain Bill" Sulzer (1863–1941) served in the State Assembly and for eight terms in the United States House of Representatives. In 1913 he became the 39th governor of New York State. Sulzer was elected governor in November of 1912 with the support of Tammany Hall. However, shortly after being sworn in as governor on January 1, 1913, Sulzer angered Tammany's leader, Charles F. Murphy, when he distanced himself from Tammany's influence and supported primary elections. With Tammany’s encouragement, the State Assembly voted to impeach Sulzer. 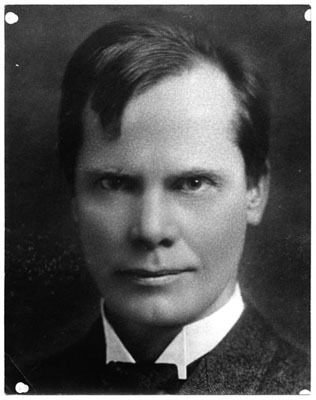 Sulzer was convicted by a special court and removed from office on October 17, 1913. As a result, the lieutenant governor, Martin H. Glynn, became governor. Sulzer returned to New York City, but a month later was again elected to the State Assembly. Irving Goodwin Vann was born on his parents' farm at Willow Creek in the town of Ulysses, Tompkins County, New York, on January 3, 1842. He died at his home in Syracuse on March 22, 1921. Initially pursuing a career in education, Vann became a high school principal and teacher in Owensboro, Kentucky. In the fall of 1864, he entered Albany Law School, graduating in the spring of 1865. Upon his graduation, Vann accepted a position at the Department of Treasury in Washington, D.C. In less than a year, however, he returned home to central New York, joining the law firm of Raynor & Butler in Syracuse. Thus began an illustrious career in private practice and as a judge in New York State courts, including 16 years on the New York State Court of Appeals. In 1913 Vann, with D-Cady Herrick [sic] and others, defended Governor William Sulzer during his impeachment trials. Although involved in the preparation of the defense, poor health prevented Vann from being present at the actual court proceedings. After the trial Vann refused to accept any payment for his work, claiming that since he was already an employee of the state, further remuneration was not required. typescript copies of telegrams in support of Governor Sulzer that were sent to him in August 1913. Box 2 contains a copy of the Court of Impeachment Testimony, which contains the arguments, witnesses, and exhibits from the trial. William Sulzer Scapbooks Collection (SC14320): This collection consists of scrapbooks containing original letters, printed speeches, news clippings, campaign literature and other memorabilia related primarily to Sulzer's career in New York State politics and government. The exact date of compilation is not known, but the content of the volumes altogether range in date from about 1903 to 1938. Public Papers of William Sulzer, Governor (January 1 to October 17, 1913): This volume, available online through the NYS Library's Digital Collections, contains the published papers from Sulzer's term as governor, including proclamations, messages to the Legislature, veto messages and memoranda, memoranda on legislative bills approved, emergency messages, appointments, designations, special terms of court, removal proceedings and investigations, and pardons, commutations, reprieves and requisitions. Papers of Martin Henry Glynn, 1913-1924 (SC21255): The Glynn papers contain an assortment of manuscript and printed material (1913-1924) related primarily to Glynn's political career as well as his role as editor and publisher of the Albany Times Union. Glynn became governor after Sulzer was impeached. For related materials search on "sulzer impeachment" in the New York State Library's online catalog.